I'm at work now, but I'll add some of the BEFORE pictures later. I drove about 100 miles to get this Classic for a whopping $150. The original owner's son said his Dad did a lot of observing with it, and looking at those old notebooks, I believe it. I guess he got to a point where he had to stand & observe, because he added a 10" PVC pipe section to the pedestal to raise the mount. He took great care of the accessories - got a big set of Criterion AR's in mint condition, plus the Barlow. Edited by Bomber Bob, 19 July 2018 - 05:55 PM. Well.....very nice. 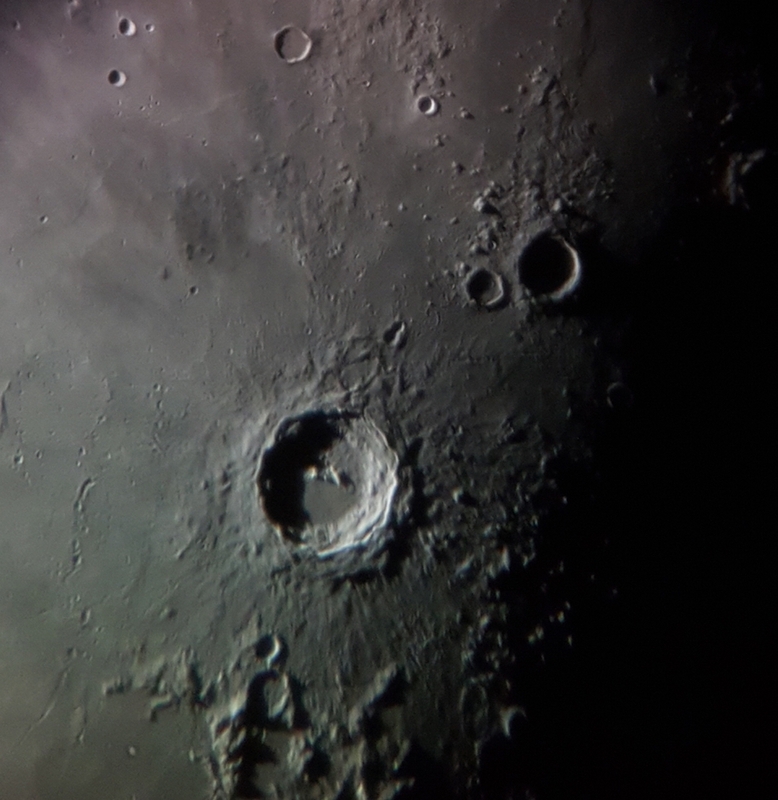 I started my telescope "life time" adventure with as Dynamax 8. 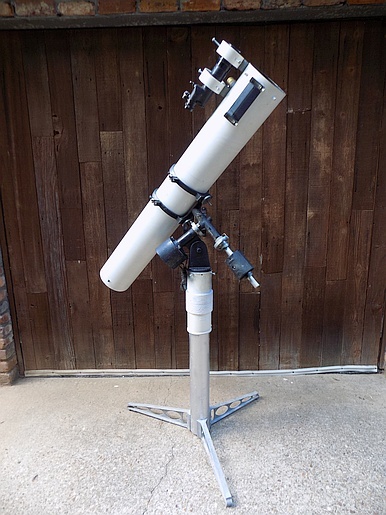 Most people on the forum say its a rubbish telescope but when your young & know no different it was a great experience. Edited by pyrasanth, 19 July 2018 - 05:43 PM. I had two RV-6s . Neither one had a fan..
Phenolic tube with a simple mirror cell that allowed for clean flow. No fan needed . Almost 50 years ago I stepped up from a department store 4.5 inch Newtonian to an RV-6. I was impressed from my first views. Although I was already a member of the AAVSO, I was able to follow my variables to significantly fainter magnitudes with the RV-6. And the views of planets were good enough that I joined ALPO and contributed observations for a few years. In my youthful mind, I felt I was a real astronomer with the RV-6 at my command. 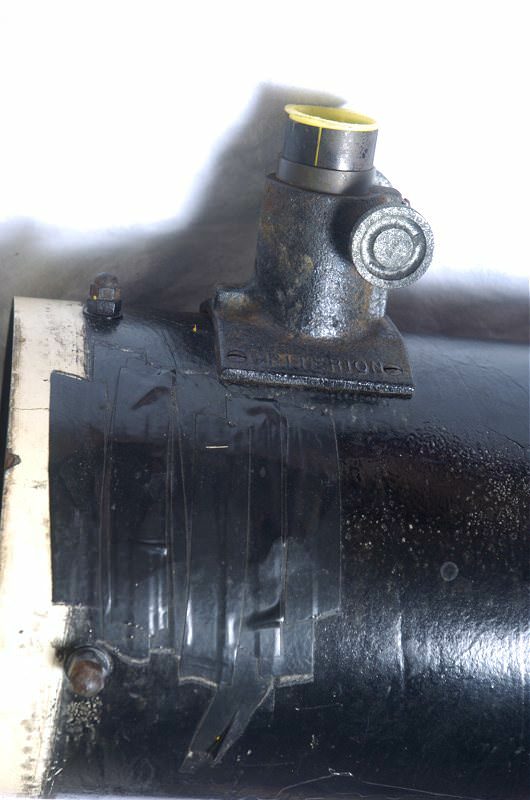 I still have the tube and mirror, but after various moves the original mounting is long gone. Almost half a century later, the purchase of the RV-6 still has a claim on being the best $195 (or so) that I ever spent. I think it was 1960 and I would have been 12 years old. Looking at ads in Sky and telescope Unitron and Criterion caught my attention. The Unitron catalog with its beautiful displays was what I wanted...but way out of my price range for a larger scope. So I drooled on the ads of the RV6. Saved my paper route money and bought one for cash. 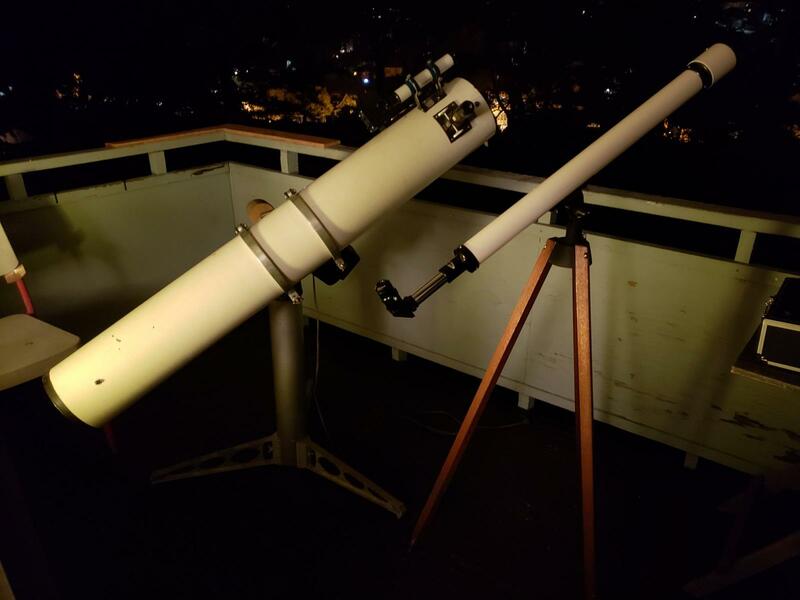 It was a hit with my local astronomy club, there was nothing other members had that would compare with it. As a young teen coached my an older member we found and plotted asteroids on my Skalnate charts. Jupiter's red spot was brick red at the time and we spent hours viewing it, occultations, transits etc. Saturn was just a pristine killer view. I learned about double stars with the RV6 and it's sharp views and true color presentations just beat out any other small telescopes at that time. 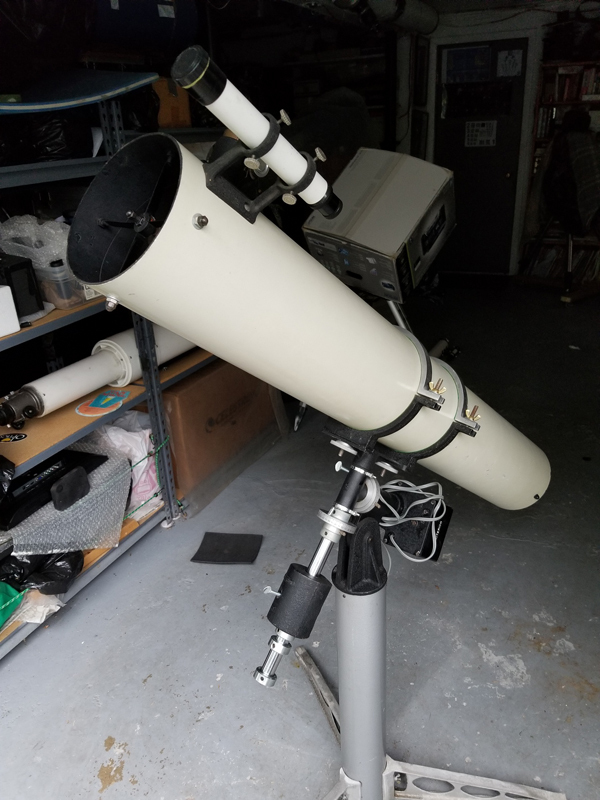 Well I still have it and did a semi restoration on it after I saw a neighbors RV6 out perform views of Jupiter compared to my AP 6 inch f/8 triplet. Sold the AP (bad decision) as it had so many other virtues. 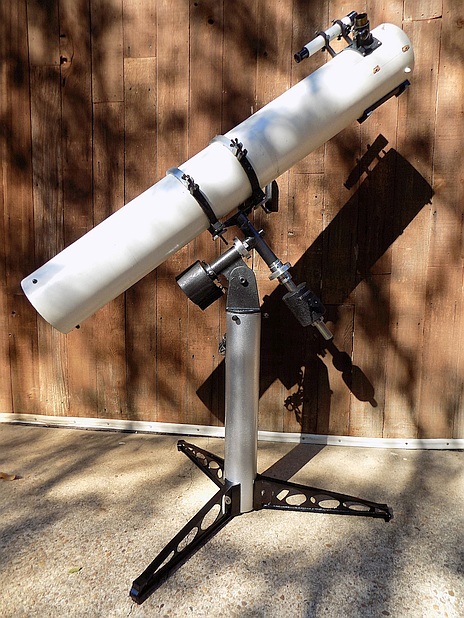 There has never been a telescope that delivers so much at such an affordable price as the RV6. Still today a true bargain because there as so many out there. Great thread. Dynamic Duo! 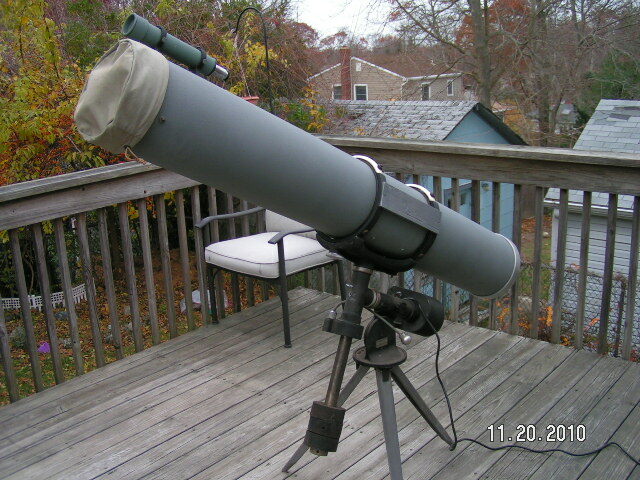 The other scope is my $100 Edmund 6" F4 Newt RFT on the tripod Polaris. Both mounts have the cheap AstroMaster 9V drive, which tracks very well for visual use, and for short exposure planetary imaging. I can use the RV-6 on the tripod, but it's not as stable as the pedestal for high power. 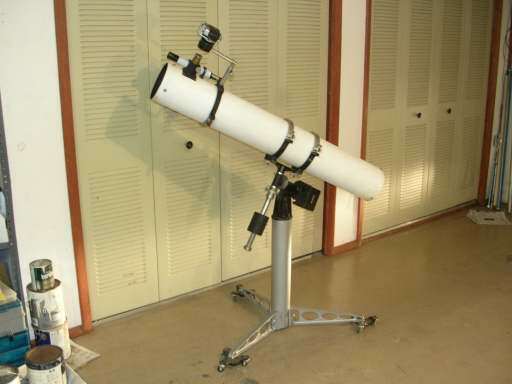 Both mounts are lighter than the Dynascope's original mount. 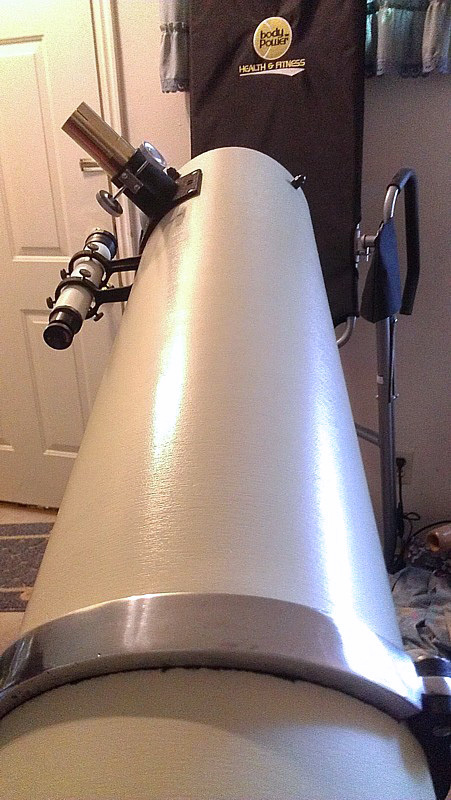 Think about it: Two 6" reflectors with very fine optics for less than $300! 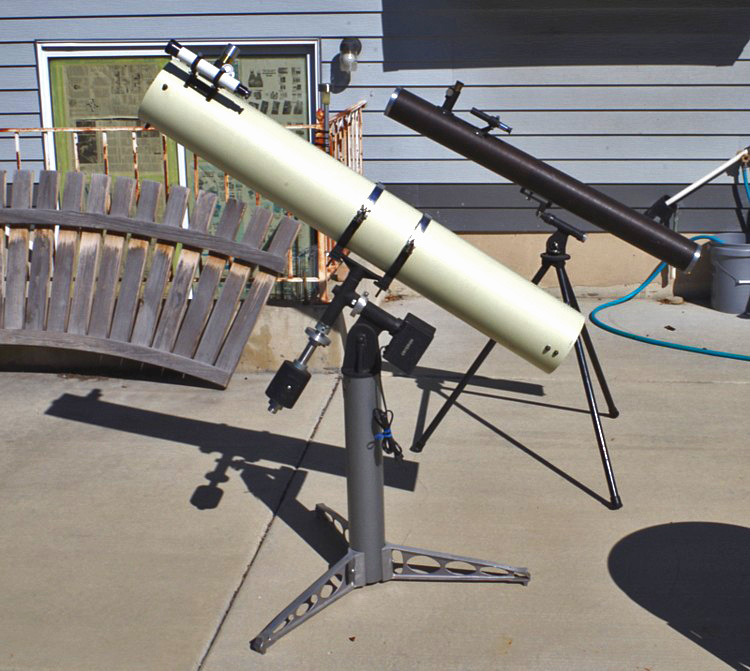 When I tell folks they can save a lot of money and still get a lot of observing gear buying vintage, I should haul these two scopes out. 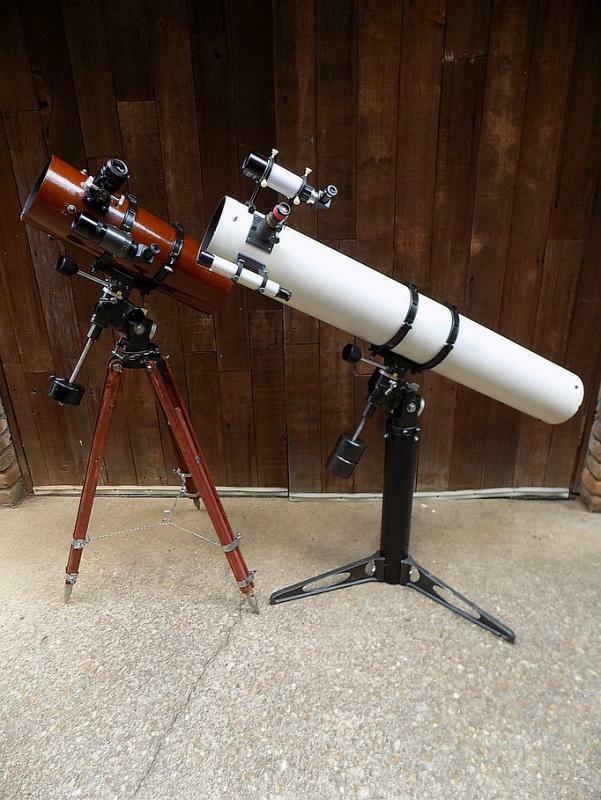 I use these mounts with other scopes, but even if I add those costs, we're talking less than $1000. I paid 3x that for my APM 152 APO -- just the OTA. Edited by Bomber Bob, 19 July 2018 - 06:11 PM. 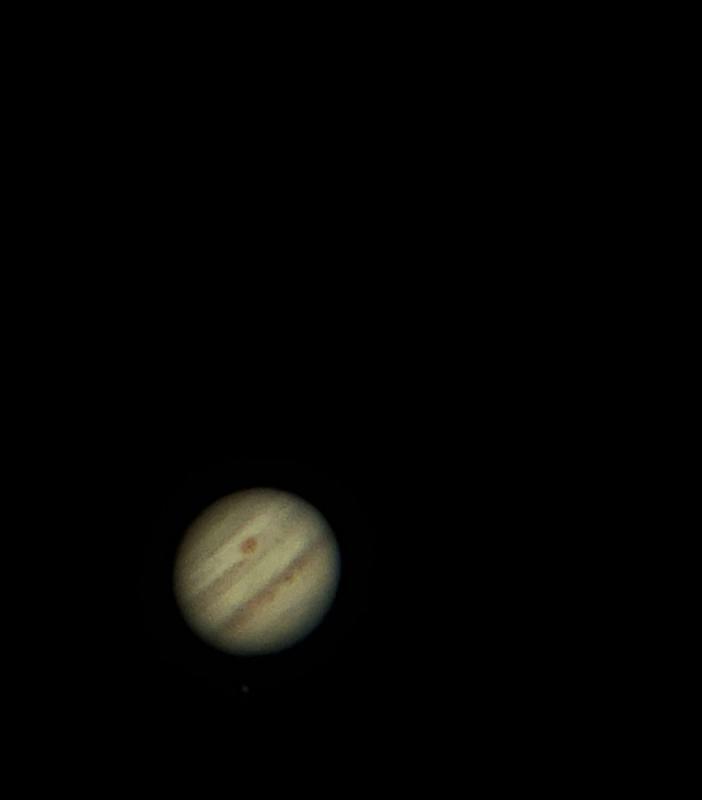 Here's one of my most natural Jupiter photos with my Dynascope. 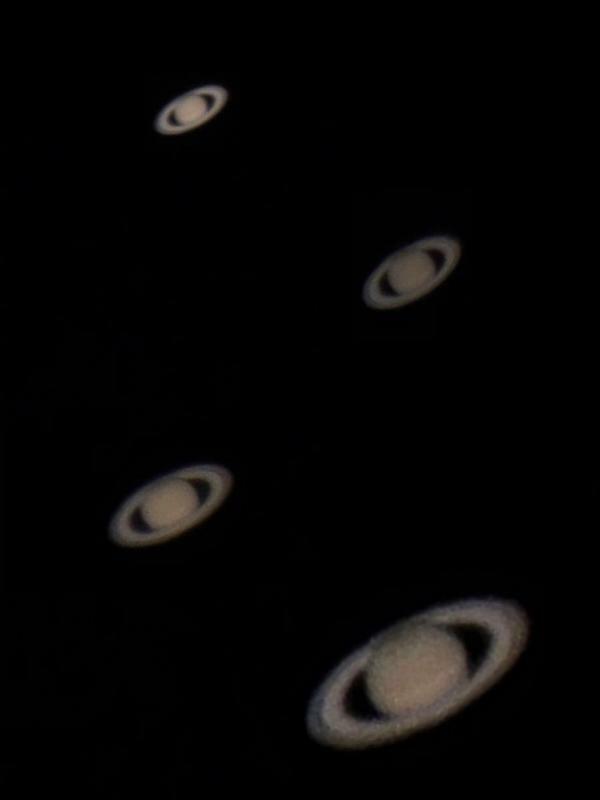 It's not the best in terms of resolution & colors, but it shows the oranges, browns, grays, and blacks the way I see them at 300x on a good night. Wow, that is a very nice setup. Looks really sharp moumted on the Polaris. So your RV-6 is going too!? Wow JW, you are cleaning house! Has the Tinsely cass been picked up yet? I was thinking you said that was going this week? And I see the Sears 6336 still listed in your sig. I guess it will be next. If anyone is looking for some very old 1955 Criterion Dynascope Sales literature, check this out. Expensive but maybe they will take an offer. Not sure if all the literature is from 1955, I'll leave that to the Criterion experts to decipher. all yours, I have a 50's 4" Dynascope fine fuzzy wrinkle greenish grey....original (bad off) vinyl cover. What do y'all think of the D4's funky EQ mount? I thought the Lafayette Meteor had a strange one! 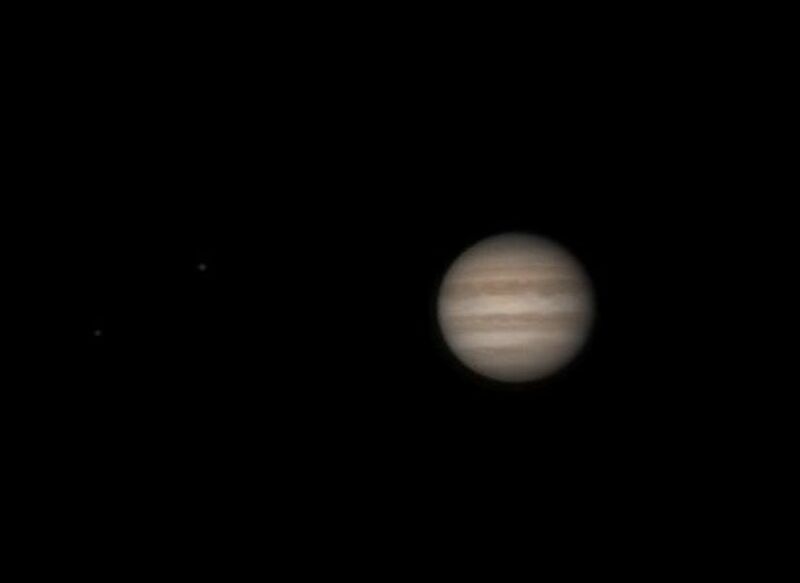 I'll never forget my first views of Jupiter through my RV-6 about eight years ago. Just wow. 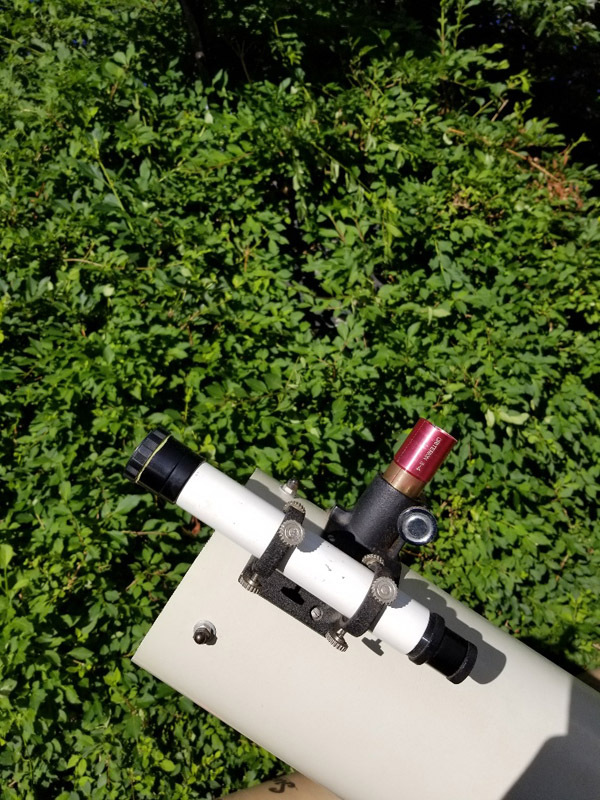 Still my favorite scope. Here are some smartphone images I've taken through the RV-6 in the past few months. These aren't stacked - just single frames processed for contrast, etc. with the Windows 10 stock photo app. And Copernicus at 375x through the RV-6 (using an 8mm Edmund RKE and Edmund 2.5x Barlow). That mount is a strange, cruel joke, sir. 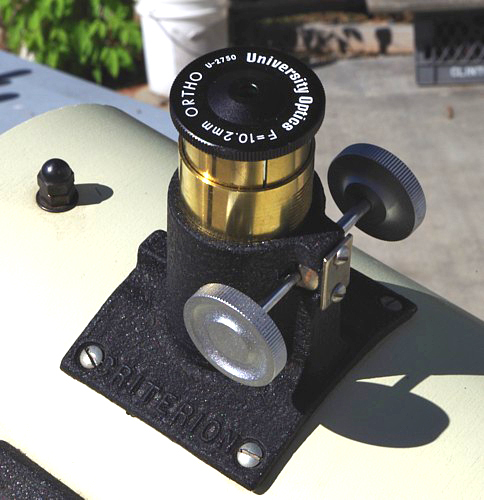 Theoretically it offers true equatorial motion, but it has a large blind spot, the focuser can be tough to reach in some orientations, and it's perpetually out-of-balance. 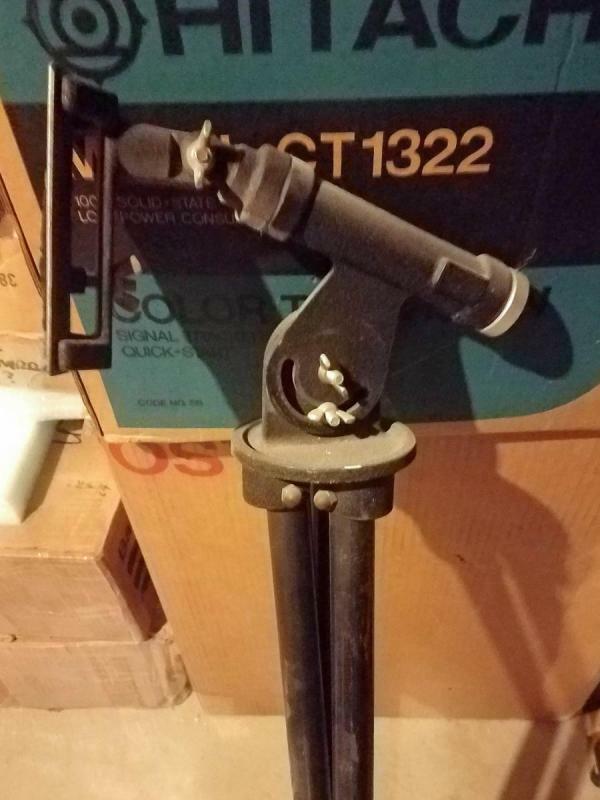 It's barely useable and if the scope were any larger I think it wouldn't work at all. You about need vice-grips to get enough torque on that wing nut. Since the photo I posted above, I've pulled that 4" out for restoration and it's waiting it's turn. The pintle mount has been retired and I've replaced it with the Criterion GEM option for that tube assembly. 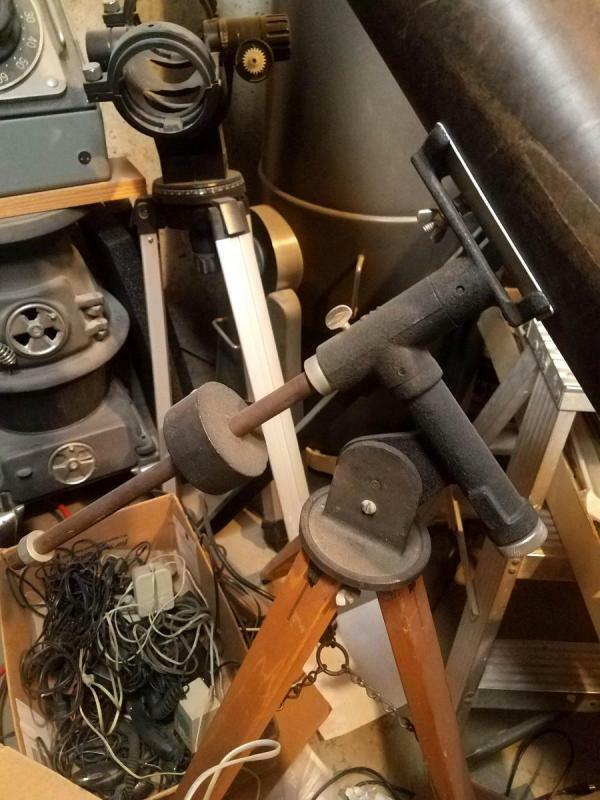 The pintle mount had the steel legs that almost always pinch your fingers under the hub when you are setting it up or taking it down. Wakes you right up. I'll move this one on to someone in need one of these days. Here's the GEM I picked up, that Criterion was offering as an upgraded version of the same OTA. 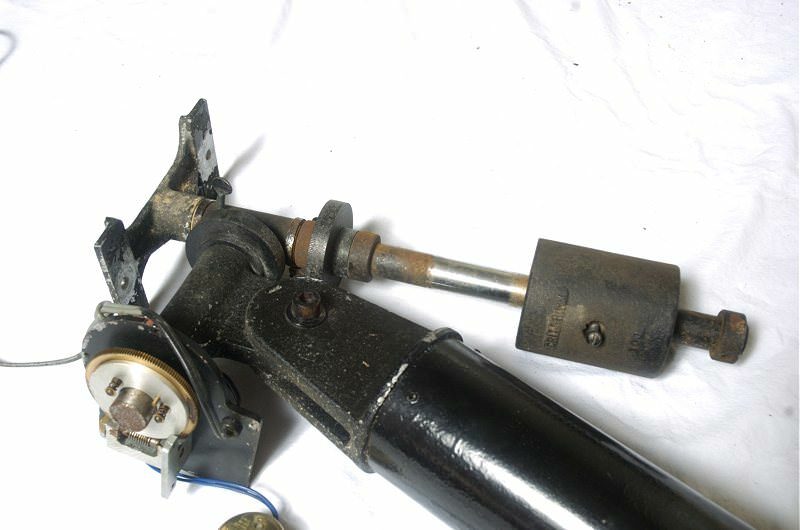 It was also offered with the steel legs at one point but I found one with the (IMO) more desirable wooden legs (no more pinchy-pinchy, either). I'll post lots of pics when this little guy gets done. I'm also going to center the secondary properly, in a manner that is invisible to the experienced eye. Both the 4" and my RV6 were local finds, the 4" about 1.5 miles from where I work, the RV6 just a 35-minute drive. Here's a pic of my restored 1960 vintage RV6. Original optics and mount but the tube and finder are replacements. notice the finder on wrong side. I need to correct this as I prefer the normal position left of the focuser.